Home / customer is not always right / social media / UP Graduate Customer vs SM employee / Video / When UP Graduate Customer is Not Right or is He the Right Customer? When UP Graduate Customer is Not Right or is He the Right Customer? 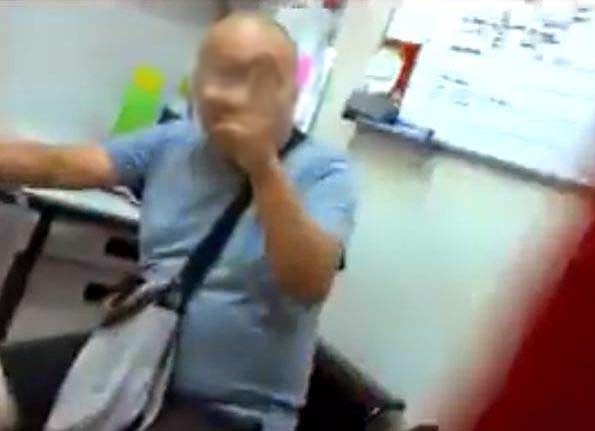 Trending right now is a video showing a confrontation between a UP Diliman graduate and a fastfood worker stationed in one SM branch. Unfortunately, the video did not show what the altercation was all about but what made the video went viral is that the customer proudly wears the UP badge as if it is a police badge of honor. Netizens were quick to point out that the customer erred when he behaved snooty and snob just because he graduated from UP. However, if you seriously analyzed the video, you will probably begin to wonder if the old principle “customer is always right” still works in today’s situation. This old and tired defense mechanism is totally abused especially by erring and demanding customers. Fortunately, there are many proponents and articles that will defend that the customer is not always right. According to Forbes Magazine in one of their current issues, there are three reasons why this is so. First, the customer is not always right because he or she is not sure of what they want. However, the problem becomes magnified in terms of the customer is always right situation because as customer servers, there is failure to determine or uncover what they really want. This is why in many fast food centers, the food attendant will ask lots of questions while taking orders from their customers. Second, when customers do not know the answer, they make their own answers. In many cases, customers do not know how to answer questions like what color do your prefer the package to be? There are so many things that work in their brain and the attendant solely relies on customer feedback. The issue on the customer is always right scenario can be avoided by asking what they want instead of presenting them with several choices. Third, Forbes magazine stated that customer expectations are not always sane. This is very true, many customers set unrealistic expectations. However, the seller also encourages this situation as he acts like a politician making promises that he or she cannot fulfill. This brings to second contention if that UP customer is not always right, is he the right customer? According to several studies on selling and marketing to customers, there are four parameters to consider in order to determine the right customer. First, the customer is focused on the premium attached to your product and service instead of the price. Second, the customer is well informed so he or she will appreciate the value of your product or service. Third, the right customer is collaborative and is willing to do her or his share for you to earn respectable profit. And the fourth one, the right customer has “win-win” attitude and respects the products and brand you market and sell instead of trying to derive a hard bargain on your part and sees that your profit is a loss for them. Yes, the customer is not always right and what is important is to keep the customer happy. Yes, the customer is not always right because he is not the right customer in the first place. Let us wait for the release of the video in full in order for us to judge if the customer who graduated from UP is right or is he the right customer. In the meantime, let us also ponder and ask if as customers are we always right? Or, are we the right customers for the commercial establishments that we patronize?